Prompted by my friends over at the Liberal Gun Club, this is another in an occasional series of revisiting some of my old articles which had been published elsewhere over the years, perhaps lightly edited or updated with my current thoughts on the topic discussed. This is an article I wrote for Guns.com, and it originally ran 8/17/2011. Some additional observations at the end. It’s a classic scene: Mad Max rolling a shotgun shell between his fingers, trying to see whether it is still any good. Will it crumble? If it doesn’t, will it still fire? Only his script-writer knows for sure. But how much does it have to do with reality? 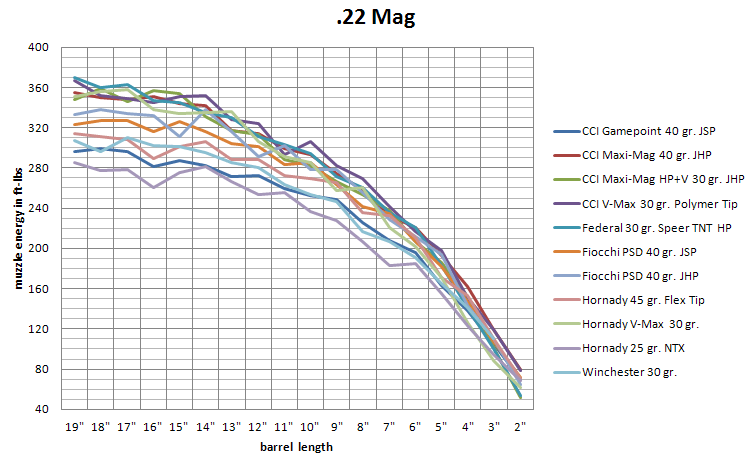 How long will ammunition stay good, and under what storage conditions? Talk about classics – that basic question has been a standard of firearm discussions online going back to before there even was an “online”. Whether you’ve just found an old box of shotgun shells in the back of your closet or you’re planning ahead for the Zombie Apocalypse, it’d be good to know whether you could trust those rounds to go bang when needed. Chances are, if the ammunition has been made in the last century, and has been stored reasonably well, then it’ll still be good. OK, let’s qualify, qualify, qualify that statement. Chances are, if it was a quality factory ammunition, made in the last century, and has been stored reasonably well, then it’ll still be good. Chances are, if it was a quality factory ammunition, made in the last century using modern smokeless powder, and has been stored reasonably well, then it’ll still be good. Chances are, if it was a quality factory ammunition, made in the last century using modern smokeless powder and with a non-corrosive primer, and has been stored reasonably well, then it’ll still be good. Chances are, if it was a quality factory ammunition, made in the last century using modern smokeless powder and with a non-corrosive primer, and hasn’t been immersed in water or subject to prolonged sub-freezing temperature, then it’ll still be good. Hmm. That makes it sound like there’s not a good chance, doesn’t it? But I don’t mean to say that. The truth is, if you come across a box (or can or pallet) of ammo made after WWII, and the exterior doesn’t show signs of obvious damage or corrosion, it should be fine. I’ve shot plenty of such ammo over the years – stuff that is older than I am. And it’s likely that if the ammunition was made after the shift to non-corrosive primers in the 1920s – which covers most non-military ammunition – it’ll also be fine. In the West, even military ammunition made since WWII has predominantly been made using non-corrosive primers, and is likely very stable. Eastern bloc countries used corrosive primers until much, much later, which meant not only could they present a problem with barrel damage if the firearm wasn’t cleaned properly, but that there was a chance that the primer would become weak with age and wouldn’t completely ignite the gunpowder in the cartridge. How about storage? I mean of ammo made recently – how should you store it to increase the chances of it staying good? The biggest thing is to keep it from resting in water. Sounds like a no-brainer but you’d be surprised. Some ammunition is sealed (tracer rounds, for example) after manufacture. But most of it just relies on the mechanical qualities of manufacturing to keep moisture out. This is actually pretty good, and serves fairly well in the case of metallic cartridges. You don’t have to worry about a brief exposure to water, from rain or dropping a round into a puddle or something. You should avoid allowing non-sealed rounds from sitting in water for a prolonged period, since such exposure could allow water to seep into the cartridge and compromise the gunpowder. It could also lead to case or primer corrosion, which could weaken the structural integrity or loading problems. So, if you want to store ammo for a long time, keep it in some kind of waterproof container. Double-bagging, using a vacuum sealer, and related strategies should all work fine. Oh – did you notice that I specified “metallic cartridges” above? Yeah. That’s because plastic shotgun shells are not as water-tight. They’re still pretty good, given modern manufacturing tolerances, but you probably want to be a little more careful with them for long-term storage. Just sayin’. So, there you have it, whether you’re wanting to have a rainy-day stash, just stockpile ammo when you find a good sale, or are wanting to be accurate for your next screenplay – take these things into consideration and you should be fine. Modern ammunition is generally of very high quality, and very reliable. A little planning ahead on your part should maintain that reliability for as long as you want. Because it’s better to have a gun than a club. There’s isn’t a lot that I would add to this piece regarding old ammo. But since I wrote this we’ve tested something like an additional 20,000 rounds of new commercial ammo from the biggest manufacturers to boutique ammo from small shops. And I continue to be impressed with just how uniform the quality has been — it’s easily in the 99%+ range. It’s to the point where if commercial ammo fails to fire reliably, I would always first inspect the gun to see what the problems was, because it’s much more likely that the gun has some kind of problem than the ammo. Which isn’t to say that all ammo will work reliably in all guns. I still advocate that for self-defense firearms in particular, you should always run at least a couple of boxes of a given type/brand of ammo through the gun before considering it sufficiently reliable enough to depend on to save your life. YMMV, of course. Reprise: Ammo by the Numbers: What Do All Those Numbers on My Box of Ammo Mean? My friends over at the Liberal Gun Club asked if they could have my BBTI blog entries cross-posted on their site. I said yes, and got to thinking that perhaps I would revisit some of my old articles which had been published elsewhere over the years, perhaps lightly edited or updated with my current thoughts on the topic discussed. This is the first article I wrote for Guns.com, and it originally ran 2/9/2011. Some additional observations at the end. One of the most bewildering moments for a relatively novice shooter is selecting ammunition. Go online, or into a big-box store, or even into your local gun shop and you can be confronted with a huge array of choices in any given caliber or cartridge design. Most of the boxes have a sort of ‘code’ on the side; some have little charts or even graphs on the bottom. But which one do you want? What does this stuff even mean? Do claims of a certain velocity or energy tell you anything? Let’s take a look at some terms, first. Most prominently displayed figure on the box, is the cartridge: .45 Auto, .357 Magnum, 9mm Luger and so forth. There can be some confusion on this, so be sure to check your gun to see what it says on the side of the barrel or slide, or is specified in the owner’s manual – that’s the only kind of ammunition you want. 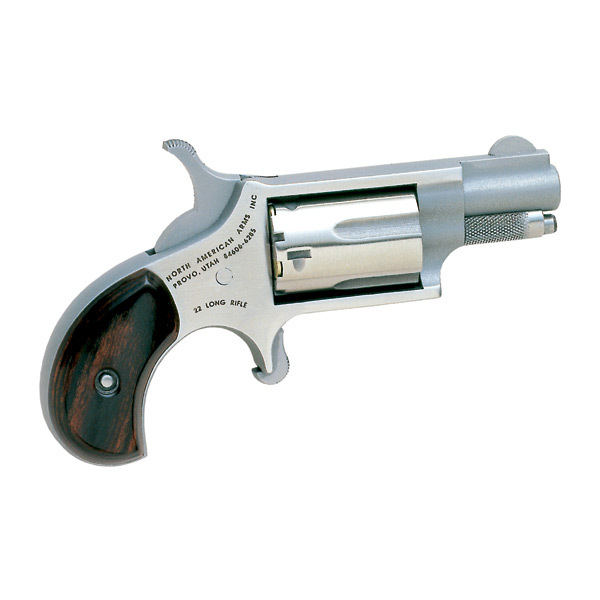 There is a difference between a .45 Colt and a .45 Auto, or a .357 Magnum and a .357 Sig, just for a couple of examples – make sure you get the kind of cartridge that your gun handles. It may seem silly to bring this up, but even experienced shooters can accidentally grab the wrong box of ammo sometimes – I have made this very mistake myself. Next you’ll find a number, listed with either “grain” or just “gr.” This tells you the weight of the actual bullet. Then there will be some variety of description of the bullet, indicating intended use. It could say “target” or “range” or just “ball” – all of these mean a basic bullet, probably with a slightly rounded nose, or perhaps a conical shape, or just a simple cylinder which might also have a small flat conical front (sometimes called a semiwadcutter or “SWC”). The actual bullet may be just lead or may have a “full metal jacket” – a thin layer of some harder metal such as a copper alloy. “Hunting” usually means a “JSP” – jacketed soft point. 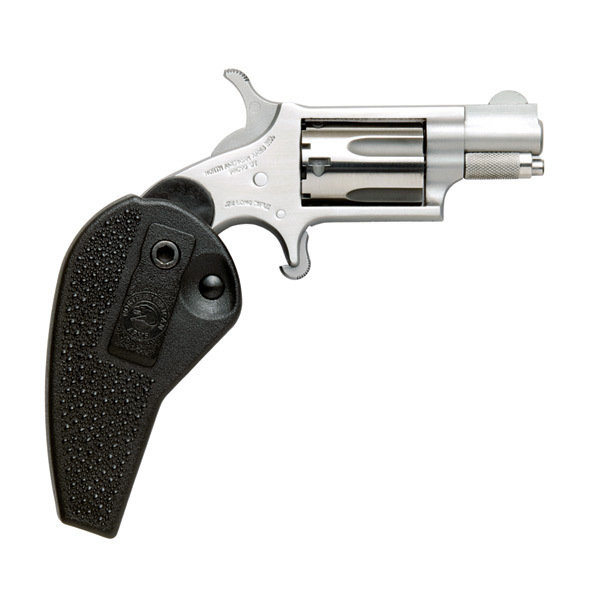 “Self-defense” usually indicates some variety of “JHP” – jacketed hollow point. Some premium self-defense ammunition uses proprietary terms such as “DPX,” “Hydra-Shok,” and “GDHP” but these are largely marketing terms you don’t need to worry about too much, at least at first. Terms “+P” or “+P+” indicate that the cartridge is somewhat more powerful (“over-pressure”) than standard for that cartridge. Most modern guns can handle a limited diet of such cartridges, but older guns may not. If in doubt, check your gun’s owner’s manual or ask a gunsmith. Particularly on premium defensive ammunition you may see some indication of the “velocity” or “energy” of the cartridge. Here in the US, velocity is given in “fps” – feet per second. “Energy” is given in “ft/lbs” – foot-pounds (the amount of energy needed to lift one pound one foot off the ground, not the confusingly similar term used to measure torque). 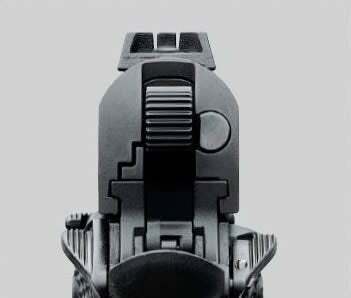 The faster a bullet, and the more it weighs, the more kinetic energy it has. Sometimes a little chart will be given, showing velocity and energy at the muzzle of the gun, then at one or more distances (bullets lose velocity and energy due to air resistance). Then why bother at all with this information? Because it can help in some instances. If all you’re going to do is just use your gun for ‘plinking’, you can probably get whatever ammunition is cheapest and suitable for your gun. But if you’re after accurate and consistent target shooting, or use your gun for hunting or defensive purposes, you want to be choosy. Once you find ammunition you and your gun like, you want to try to stay as close to that ammunition as you can. What do I mean by ammunition you and your gun like? Some guns will feed and fire some ammunition better than others. The shape of the bullet can make a difference. The weight of the bullet can make a difference. The amount of energy can make a difference. Ammunition with greater energy will cause your gun to have greater recoil (‘kick’), and that can make it more difficult to shoot. Ammunition which is touted for being “reduced recoil” likely has less energy than other ammunition, that can make it less effective for hunting or self-defense. Using the same amount of gunpowder, a lighter bullet will go faster than a heavier one. But a heavier bullet will generally slow down less due to air resistance, and will generally penetrate deeper into whatever you are shooting at. “Target,” “ball,” and similarly-termed ammo is usually less expensive, and is good for practice. 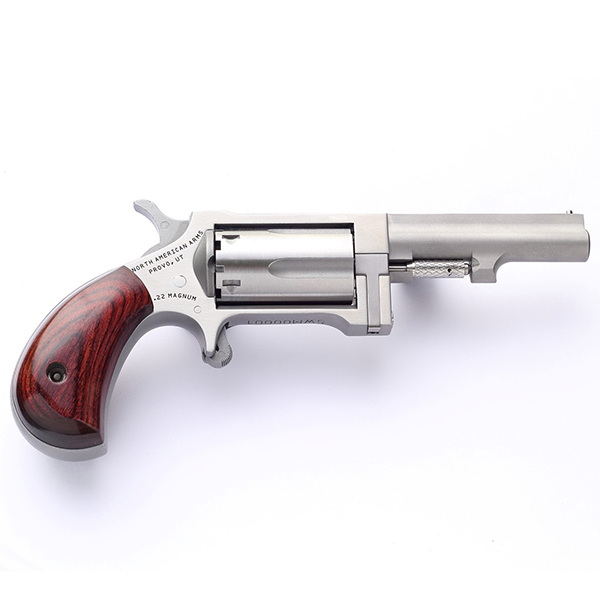 It is less ideal for self-defense purposes, because the bullet does not expand the way a hollow point or “JHP” is designed to when it hits flesh. “Hunting” ammunition is usually designed to expand some, but to still penetrate deeply. Where should you begin? Start out seeing what ammunition others who own a gun like yours use. None of your buddies shooting a gun like yours? Maybe do a little checking online – many firearms forums post anecdotal information showing testing members have done, and there are some good sites that do more rigorous testing for velocity and penetration. See what is recommended, and give it a try. So, beyond the numbers, what’s a good general rule when pairing ammo with a gun? I’m of the opinion that, ideally, you should try out a box or two of different types of premium ammunition first to see which brands and type your gun likes. Using this as your guide, you can then launch the search for less expensive practice ammunition that is similar in weight and velocity, because that will behave similarly to your premium ammo in terms of point-of-impact and felt recoil. 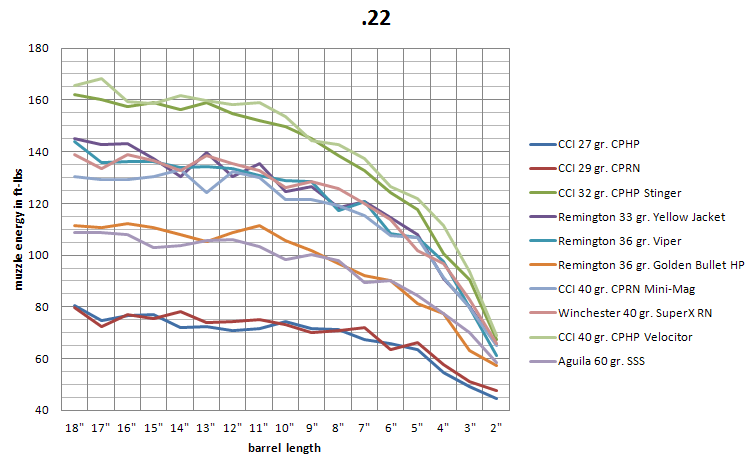 Since I wrote this six years ago, there have been some noticeable changes in the ammunition industry, and now most manufacturers provide at least some basic information as to how the numbers they use were gathered — what barrel length, sometimes what gun they used — to make it a little easier for a consumer to know what they are buying. I have been told directly by some engineers and sales people at different companies that this is due to BBTI‘s testing and publication of our data, which has forced manufacturers to be more forthcoming. Something else we’ve experienced in the intervening years was the Great Ammo Shortage (which for the most part has now passed). 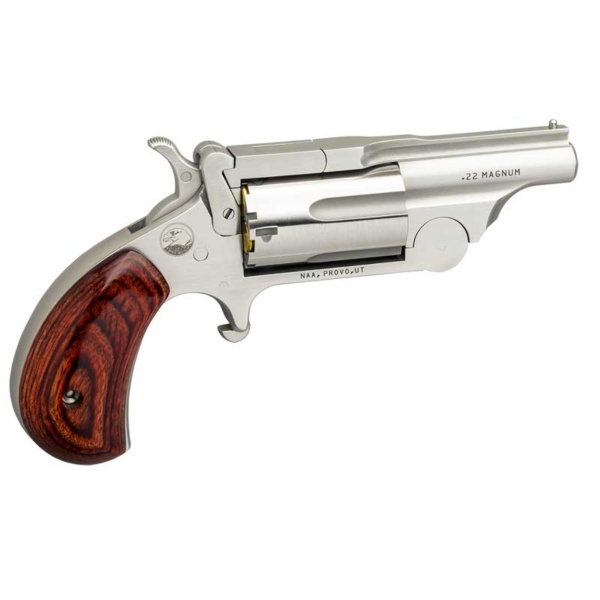 But it taught the wisdom of always keeping a bit more ammo on hand than you might otherwise need for a single trip to the range, to help ride out similar shortages in the future. I’ll address ammo storage issues in a future blog post.